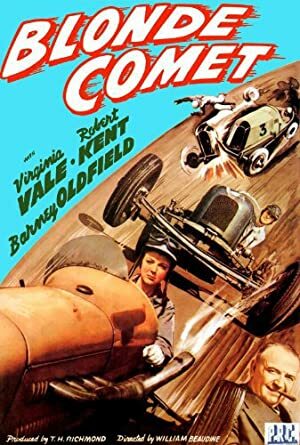 Beverly Blake, the 'Blonde Comet," and the daughter of a tire-manufacturer, gets behind the wheel of a race-car, and is soon tearing up the tracks and winning races in Italy, France and Germany (obviously prior to 1938 when those countries were no longer running international car races in Europe.) She comes back to race on American tracks. She meets Jim Flynn, another race-driver, and a rivalry is created, along with a romance. Beverly gives up her chance to win THE BIG RACE by letting Jim race her car and he wins. His win also means a triumph for the racing-car carburetor he has invented and also for the tires manufactured by her father. It may have been somewhat of a setback for Women's Liberation, though.